When shopping for a home, there are many factors to consider. One important factor to consider is the type of mortgage or home loan you will use to finance your home purchase. USDA mortgages offer a variety of benefits and advantages, and there are numerous areas throughout the state of New York where home purchases do qualify for USDA home loans. This leave many NY home buyers curious as to whether or not they are eligible for a USDA mortgage. But in addition to meeting these personal finance requirements, the property you are interested in buying must meet specific requirements as well. So how do you find a USDA eligible property? Which areas in New York state are eligible for USDA loans? Typically, USDA loans are available to homeowners purchasing properties in rural areas. Keep in mind that some of these “rural areas” are not what you or I would consider rural. Before you assume that a property is not in an eligible area, do some investigating to find out whether or not it actually is. Some counties within New York State are fully eligible for USDA (United States Department of Agriculture) mortgages. These home loans help buyers purchase homes in designated rural areas, by offering attractive benefits to those who qualify. Other counties have both eligible and ineligible areas. Click on each for full descriptions of each county’s USDA coverage area. A great place to check for a property’s USDA eligibility is on the United States Department of Agriculture’s website. Here, you can quickly and easily look up a property to see whether or not it falls in an eligible USDA area. Check out the USDA Income and Property Eligibility Site and follow these easy steps to find out if the property you are considering qualifies. You will also be able to see in the map legend a shaded area that shows ineligible areas and borders to eligible areas. This should be able to help with your search. Wondering If You Qualify for a USDA Loan? If the home you’d like to make an offer on is in an area that is USDA eligible, the next step is to determine whether or not your personal finances make you eligible for a USDA loan. Our extensive list of New York USDA loan eligibility requirements can help you to figure out whether or not a USDA loan might be an option for you. Think you might be qualified? Then now is the time to get in touch with Maple Tree Funding! Give us a call at 518-782-1202 or start the mortgage application process online today! 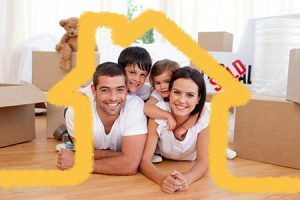 New York USDA Loans: General Information, Benefits, & Eligibility Requirements – Everything you need to know about purchasing a home with a USDA mortgage in New York State. Do I Qualify for A USDA Loan? – Find out what it takes to qualify for a New York USDA loan. How to Apply For the USDA Loan Program – Review the steps involved in applying for a NY USDA mortgage so you’re well prepared when you’re ready to purchase your home.